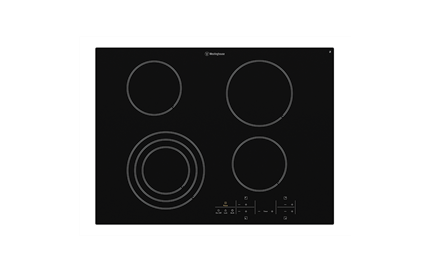 70cm electric ceramic cooktop is rated 4.1 out of 5 by 7. 700W x 520D x 46H(mm) ? 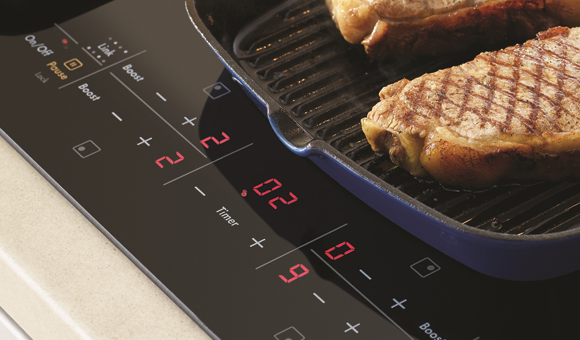 70cm electric ceramic cooktop with variable zones, easy clean ceramic glass surface and QuickCook timer (TM) function. Rated 4 out of 5 by LittleOne from It does the job Westighouse WHC744BA is easy to install and simple to use. It heats up well but only if the temperature is set high. On lower settings it will try heating forever. I am still trying to workout how the 'Keep Warm' function actually work. The manual wasn't that useful for someone who is using this kind of topcooker the very first time. I wish the edge of the glass was finished with a nice metallic frame so it does not look cheap. Rated 1 out of 5 by Adalita from I have broken two in two years I had to choose this cook top as it was the only one which fit the hole in my bench top. The first broke when a square sided olive oil bottle fell on it. The second broke when a small glass fell 30cm from a cupboard on to the corner. Just not strong enough for normal kitchen events. Maybe would be better with a metal frame. Rated 4 out of 5 by Jeepers from Looks and works great! Pleased with its looks and functionality. Not so pleased with the cleanup of the ceramic surface. Takes a bit of effort to get it perfectly shiny,using the cereal a nd cerapol as recommended. 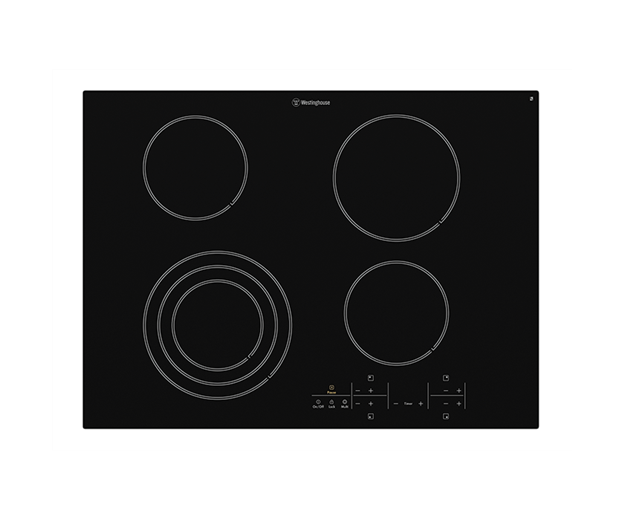 Rated 5 out of 5 by Dodolina from A very versatile cooktop I found this cooktop to be very versatile in the size of the cooking plates and its advanced features. 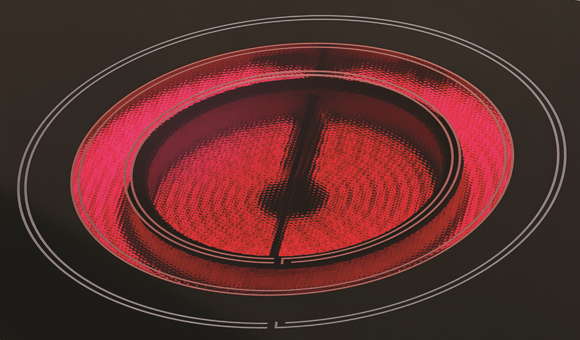 Rated 5 out of 5 by Ruby Tuesday from Love this cooktop. 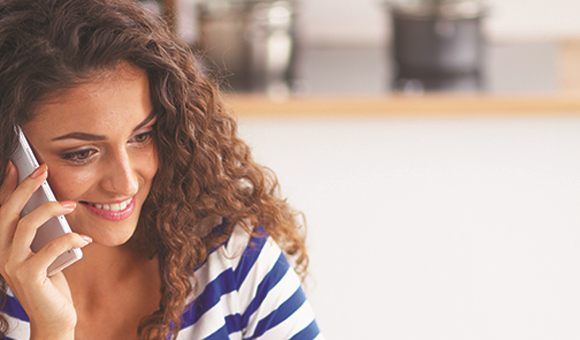 Love my Westinghouse ceramic cooktop, efficient, easy to use and easy to clean.